Chinese athletes enjoyed a successful opening day at the International Wheelchair and Amputee Sports Federation (IWAS) World Games by dominating fencing competition in Sharjah. Men's foil and women's épée medals were on offer at the Al Thiqa Club in the United Arab Emirates city. There was an all-Chinese men's A foil final as Zhong Sai Chun and Sun Gang negotiated their way through the competition rounds. Sun would overcome his team-mate 15-12 in the gold medal match to seal top spot on the podium. Ukraine's Andrri Demchuk and Italy's Mattero Betti, who were beaten in the semi-final stage of the competition, earned bronze medals. China's Hu Daoliang won the B-foil competition by beating Britain's Dimitri Coutya 15-14 in the final, as Russia's Albert Kamalov and Alexander Kuzyukov took bronze. Zou Xufeng won the women's épée A event by beating Bian Jing 15-13 in an all-Chinese final. Their compatriot Rong Jing and Hong Kong's Yu Chiu Yee clinched bronze, following semi-final defeats. Thailand's Saysunee Jana won the B-event by beating Russia's Vikoria Boyokova 15-5 in the final, with Japan's Anri Sakurai and Belarus' Alesia Makrytskaya winning bronze. Wheelchair fencing competition includes the first World Cup leg of the season and also incorporates the Under-23 and Under-17 World Championships. Shooting competition also began today at the Al Dhaid Shooting Club, with the men's R1 10 metres air rifle standing event taking the focus. Local shooter Abdulla Alaryani topped the standings on 621.7 points, with Germany's Norbert Gau second on 618.5. United Arab Emirates' Obaid Aldahmani completed the top three in 617.2. Archery, athletics, badminton, swimming, shooting, table tennis and wheelchair fencing will all be contested in the United Arab Emirates. 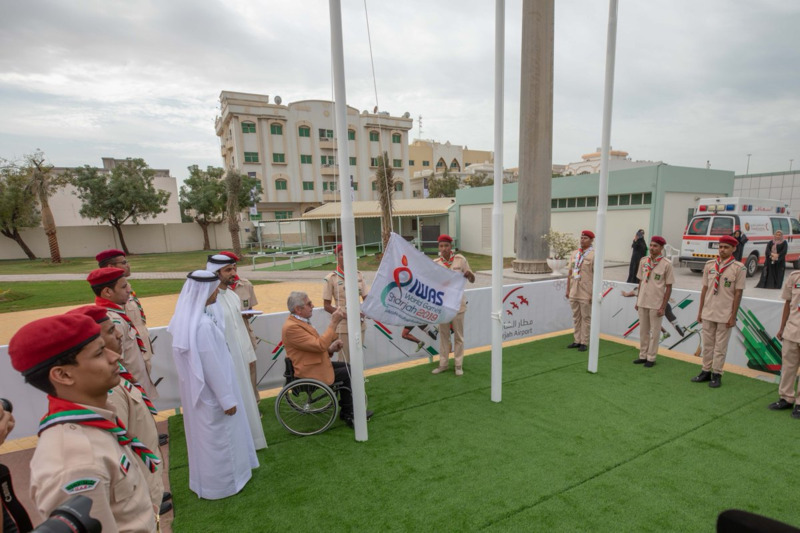 The flagship IWAS event is viewed as an important stop on the road to next year's Paralympic Games in Tokyo, with qualification points available. A total of 1,462 athletes, coaches, referees and technical staff are expected to attend in all. A group of 45 countries will be represented. An Opening Ceremony will be held tomorrow.